Malcolm X was a highly controversial figure in his time, often viewed as a racist who advocated hate and violence against whites; his positions and Pan-Africanism were often misunderstood or distorted. 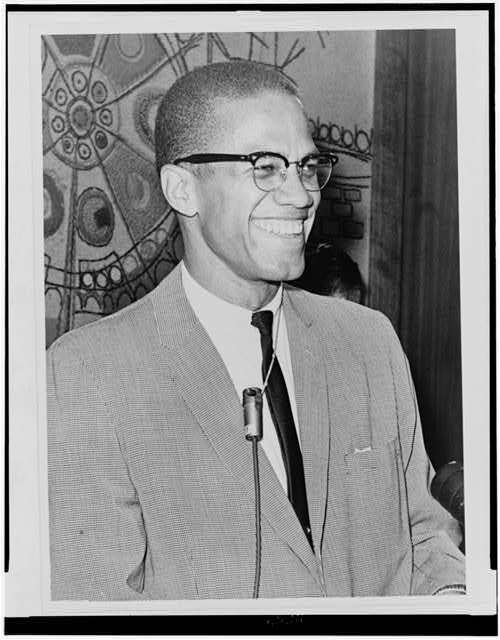 This is the first in a series of articles I intend to write about Malcolm X – seeking to connect his thinking to today’s issues. Although this quote didn’t necessarily focus on education, Malcolm X saw education as a key to black independence and empowerment. Education is also where we find the truth that exists in what he believed would happen if African Americans looked to the same government that enslaved their ancestors to protect them. I want to be clear from the start, this post isn’t going to end with an argument for segregation. What it will do is point out that despite all the marches, hand holding and lip service both political parties have given to the issue, segregation still exists. President Trump tapped into this reality in a manner consistent with opportunistic yet ill-informed politicians. He conflated “inner city” with African Americans and described Black Americans in their worst light to satiate the need for a scapegoat among poor and working class whites while, at the same time, validating the increasing disillusionment poor and working class African Americans are experiencing with the American Left. He received a backlash from the elites – the criticism was justified but ineffective. A strong minority of black voters bought the message – evidenced by not only the support he received but the lack of support Hillary Clinton received as well. Inaccurate? Yes. Dishonest? Yes. Angry? Yes, and that’s what mattered, but it was also brilliant political strategy. Poor and working class folks (regardless of race) were pissed and Trump was the megaphone and fairy godmother all in one. Trump got the big message right and made all the right promises, the details didn’t matter anymore. The counter message to Trump’s narrative was ineffective because America remains highly segregated, just in different ways, with the clearest example of this being our school systems. The counter-arguments of “we’re getting there”, “things are different now just hang in there” are tired and old. According to the National Center for Education Statistics African- Americans, while making strong gains in closing the racial divide with high school diplomas, experienced a significant setback at the college level. In 2015, some 36 percent of 25- to 29-year-olds had attained a bachelor’s or higher degree. The percentage of White 25- to 29-year-olds who had attained this level of education increased from 1995 to 2015, as the size of the White-Black gap in the attainment of a bachelor’s or higher degree widened from 13 to 22 percentage points and the size of the White-Hispanic gap widened from 20 to 27 percentage points. A consistent 78% of men in the Gen X, Boomer and Silent generations were employed at ages 18 to 33, a share that dropped 10 points to 68% among Millennial men. In addition, while employment among young women had been increasing with each generation, it dropped 6 points between Gen X women in 1998 (69%) and Millennial women in 2014 (63%). This can partially be attributed to enrollment in higher education – fully 18% of 18- to 33-year-old Millennials are currently enrolled full time, compared with just 11% of Gen Xers when they were the same age. But after adjusting for inflation, today’s average hourly wage has just about the same purchasing power as it did in 1979, following a long slide in the 1980s and early 1990s and bumpy, inconsistent growth since then. In fact, in real terms the average wage peaked more than 40 years ago: The $4.03-an-hour rate recorded in January 1973 has the same purchasing power as $22.41 would today. Median usual weekly earnings of high school graduates is $678 according to BLS. Even if we were generous and assumed a 35-hour work week, that amounts to about $19.37 per hour. Before we even get to wages, however, we should consider the issue of employment. Unemployment among African Americans is the highest of any demographic, nearly double that of whites. College appears to be a solution, but we run into some problems there as well. US News and World Report published an excellent article on this subject last January. There were several key points identified, that feed into this problem including the fact that black children are more likely to grow up in households that experience more difficulty in meeting basic needs, are more likely to receive out of school suspensions, are more likely to be placed in residential facilities where the quality of education is lower and are more likely to be held behind as early as kindergarten despite there being no evidence this produces any meaningful impact. The road to college, for many black children, is filled with hurdles and pits that require a very high level of persistence and luck. Education systems should demonstrate good predictable outcomes not come across as dystopian game shows where a few winners get the prize. While black students disproportionately attend schools with higher minority populations, the teachers, principals and administrators who interact with the students are a different story. When the U.S. Department of Education collected data in the 2007-2008 school year, 80 percent of principals in public schools were white. Meanwhile, only 6.2 percent of high school public school teachers across all subject areas are black — the highest percentage is for health and physical education, where 9.2 percent of teachers are black. So where does this 12-year roller coaster ride of unmet need and system mismatch leave us? You really don’t have to look too hard to figure it out. African Americans receive longer sentences and are ten times more likely to go to jail for a drug offense than their white counterparts. If I were a conspiracy theorist, I could argue, with some plausibility, that African-American children were being groomed to serve two purposes – create a demand for labor in the public sector that benefits whites (teachers, police officers, child protection workers etc.) when they are younger and to provide cheap labor in industries that need it once they become adults. There just needed to be an illusion supported by a few concrete examples we can point to as a means of making it a “black” problem v. an American one. We have started to ask some questions about education in America, but I’m afraid they are the wrong ones. This has little to do with money — in that respect, one can argue a better system couldn’t have been designed depending on what side of the classroom or prison cell you’re on. President Trump received significant financial backing from the private prison lobby while Hillary Clinton enjoyed similar backing from teachers unions. While this article isn’t going into how to solve the problem, it points to the large kernel of truth in Malcolm’s message – ownership and influence matter. The early positions of Malcolm X that centered around separation were not only unrealistic but harmful; he himself acknowledged this. The unfortunate truth, however, is that separation exists proximate to how he described it would. It’s where we are in many facets of our society. The first step is to accept this, not as the desired reality, but the reality that we have to work with — a reality that hasn’t changed for a good portion of our country, in spite of the billions of dollars poured into bureaucracies designed and staffed by profiteers, political machines, academic elites, and plutocrats. While Charter Schools, which I’m in favor of, offer a real opportunity in this regard, they are open to the same kind of exploitation that landed us here. In order to change centuries of segregation, we should not settle for satiating our conscience by doing more of the same, continuing with policies that are both self-serving and destructive. As a nation, we need to let go of our fixed positions, be open to the uncomfortable and do better. How we got to this point seems like a mystery, but Malcolm saw it from nearly six decades away. It may be time to separate the wheat from the chaff and revisit some of his not so radical ideas for possible solutions to these problems. Previous Who Defines Religious Faith?